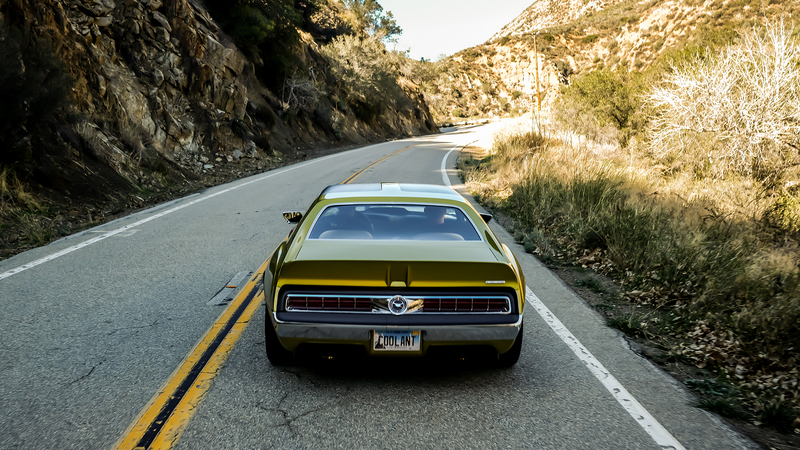 "When we get back down to the coast, I'm going to have to, you know, send it," I said to the Ringbrothers employee sitting shotgun as we prowled the mountains of Malibu in his company's 1,000-horsepower AMC Javelin AMX, the beast's war cry shaking the canyon walls around us. One eye still on the jejunum of a road unfurling before us, he grinned. "Just make sure you've got it pinned straight. Otherwise..."
There was no point in finishing the sentence. I had spent the last 20 minutes in the driver's seat in complete subjugation to the power before me. My right foot was a mouse tap-dancing on the throttle, but it made no difference—even breathing on it seemed to send the Hellcat engine under the hood into a frenzy and the back end sliding sideways. Obviously, driving a resto-modded muscle car with a colossal engine and zero modern safety systems on a twisty road is not the smartest plan. Resto-mods—old cars rebodied and rebuilt using modern powertrains, technologies, and materials—can be a bridge too far for some. Can old cars really learn new tricks? Ringbrothers says yes—and to prove it, the custom shop poured over half a million dollars of Prestone's money into its latest build, known as "Defiant." 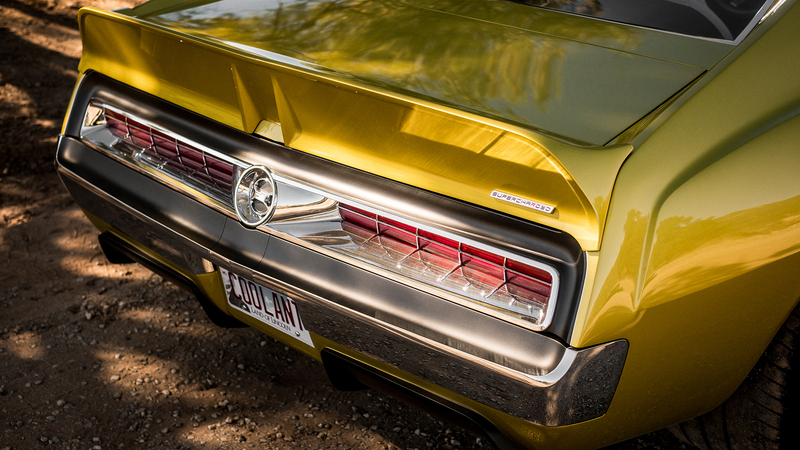 This AMC Javelin AMX has been transformed from an obscure muscle car from a dead-and-gone brand to a near-religious experience, a sensory-overwhelming baptism on the altar of almighty power. 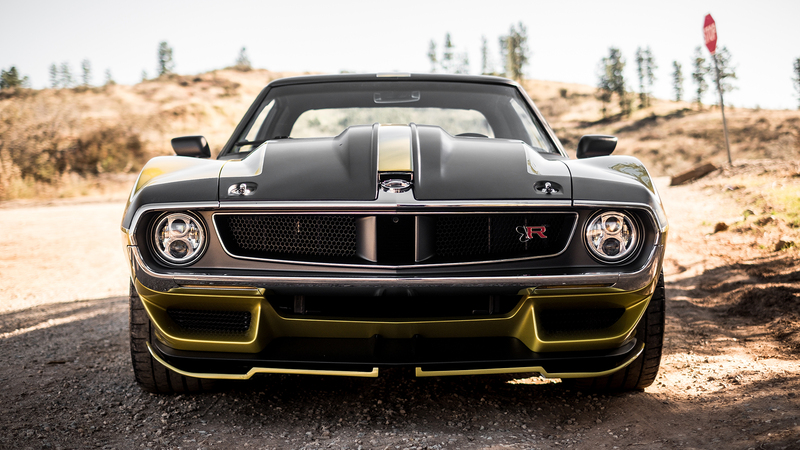 The Javelin has spent its entire existence in the shadows of the Camaros and Corvettes and Mustangs of the world—but with carbon-fiber body panels, a 4.5-liter supercharger jacking up the modern Hemi V-8, and a completely customized suspension, this one is done playing second fiddle to the main band. And despite its SEMA roots, this is not some silly show car; no, it demands to be driven. So drive it I did. And you can call me a convert, because once you finally point it straight, this thing rocks. First, a little background. Ringbrothers is a custom car outfit based in the small town of Spring Green, Wisconsin that's made a big name for itself building insane projects for corporations and deep-pocketed individuals alike. Founded by real-life brothers Mike and Jim Ring, the company is no stranger to melding old cars with new technology. 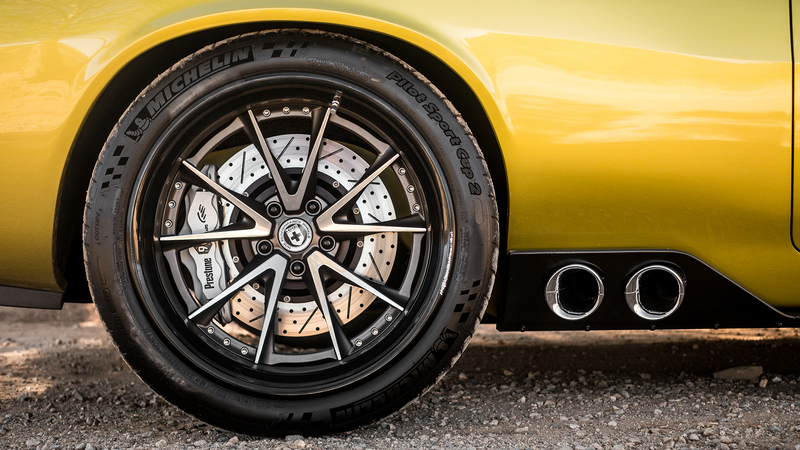 But a 1972 AMC Javelin AMX was a completely new canvas for the brothers, who bought it off the original owner in their hometown to transform it into a rolling trophy for Prestone's 90th anniversary last year. Over the course of a tight 12-month build, the brothers tore the stock Javelin apart and stitched it back up to create the Frankenstein seen here. Almost nothing has been left untouched—and if you're a little miffed at the thought of chopping up an all-original, 1-of-3,200 classic, consider the laundry list of modifications as proof that the whole really is greater than the sum of its parts here. Also, remember the name: Defiant. It doesn't really care what you think. The AMC Javelin AMX is already kind of a mysterious car to the untrained eye—Is that some kinda Camaro?—but its can't-quite-place-it image is further enhanced by the brothers' decision to move the front axle six and a half inches forward. This balances out the profile, and gives the BMW-yellow body a subtly modern appearance. Most of the front end, including the bulging hood and flared fenders, has been recreated in carbon fiber to help lighten the load, while all the trim pieces were remade from machined aluminum. 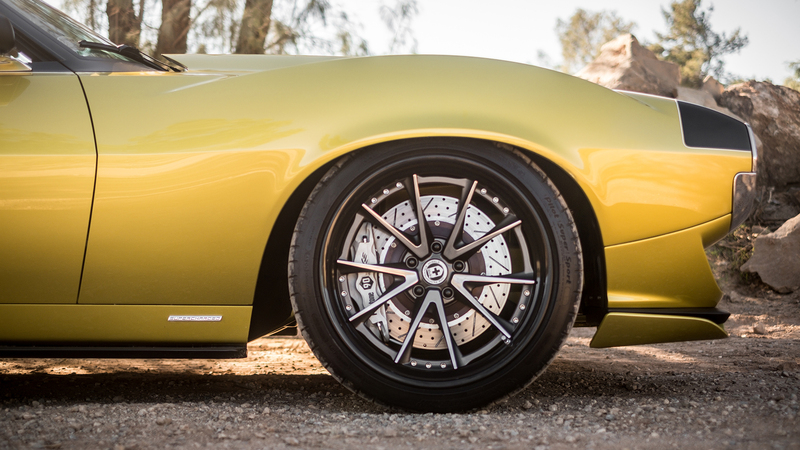 That lightness is important, because the brothers took the "no replacement for displacement" maxim to the limit in their efforts to reach Prestone's stated 1,000-horsepower target. 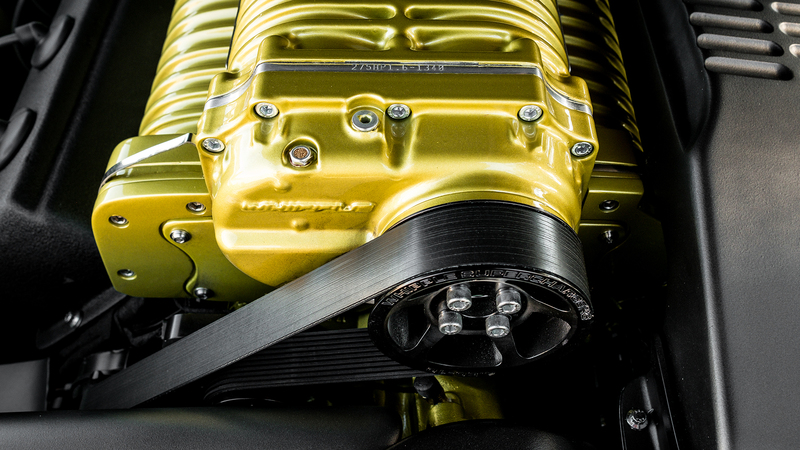 Gone is the old 6.6-liter V-8, replaced by a Wegner Motorsports 6.2-liter Hemi Hellcat V-8 engine, which itself comes topped with a porky 4.5-liter Whipple supercharger. Think of it as almost 11 liters of fun at the beck and call of your right foot, good for 1,036 horsepower in low-boost mode. High-boost? Somewhere around 1,500 horses. All that power travels through a four-speed GM automatic transmission and down a carbon fiber driveshaft on its way to lighting up the 12-bolt Chevy rear end and those gigantic tires. The engine sings through a stainless steel Flowmaster exhaust system with two options: Gaping side pipes to deafen passers-by, and a traditional, slightly-less-shattering setup out the back. Inside, the brothers Ring added the bare minimum of comforts—seats, a steering wheel, lap belts, and a kickin' sound system—before sending the Javelin out in the world to destroy some tires. Of course, a bustling beachfront parking lot in Malibu, California is not really the place for an impromptu burnout...but again, Defiant don't care. As I took my foot off the brake for the first time and caressed the throttle with the sort of gentle touch normally reserved for petting kittens, the engine roared, and the back tires immediately spun. The Ringbrothers employee looked at me askance, as did a woman unloading two little dogs from a Honda CR-V a few spots away. A great start. 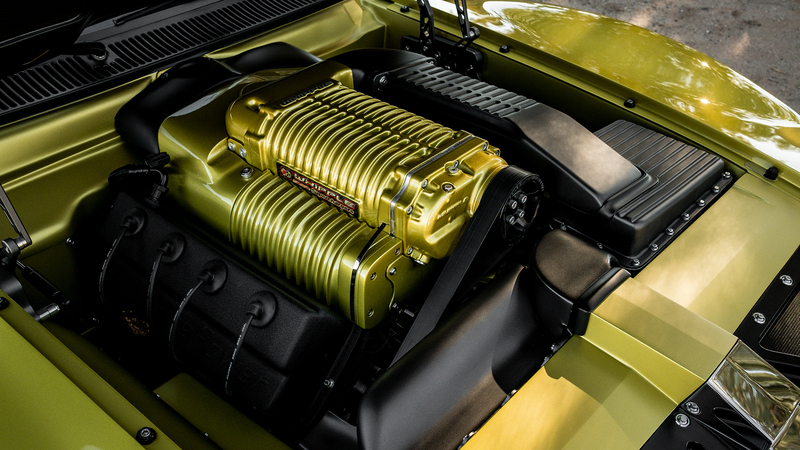 As you might expect, 1,036 horsepower is a handful at any speed, but any fear or apprehension is quickly replaced by an intoxicating, all-encompassing sense of mechanical grandeur. You, the conductor, have an eight-cylinder symphony at your control, and the sound coming out of that concert hall of an engine bay rivals anything from the world's greatest musicians. It is very, very tempting to stomp on it at every conceivable moment, but this beast demands respect. Still, all the effort (and money) Ringbrothers poured into making this a real car means the 46-year-old Javelin basically drives like a new Dodge Challenger. The engine doesn't lope, the extended wheelbase evens out the ride, and the Detroit Speed rack and pinion steering is lively enough to impress without cutting too sharp for the old-school vibe. Inside, there's nothing rattling itself apart when you pull up to a stop, and the evap kit on the giant engine wicks away enough heat to keep the cabin cool and comfortable. After scaring Teslas off the Pacific Coast Highway for a while, I steered the Javelin up one of the area's trademark canyon roads. We climbed at least a thousand feet in the first few miles, but the car never complained; in fact, it seemed angry we were sticking to the speed limit as it devoured the precious few straight lines with gusto. The new suspension features a Detroit Speed hydro formed front subframe from a Camaro (again, Mary Shelley would be proud), RideTech shocks, and an in-house four-link rear setup. The result is a planted, balanced, and smooth ride—but you'll never forget the weight you're carrying. 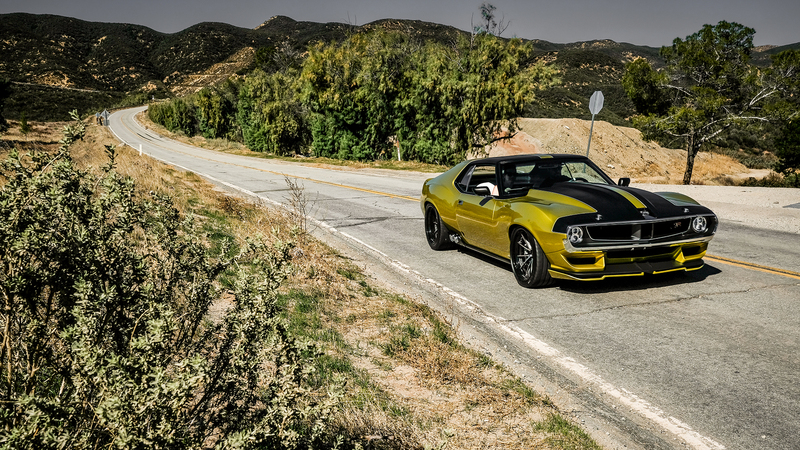 Even though it is absolutely not built to carve canyons, this Javelin is a goddamn riot at any speed on any road. We were heading down the mountain, wary of the fog rolling in (and the fact that some jerk named Jay Leno shredded the tires earlier in the week), when I turned to my Ringbrothers minder and, as mentioned at the start of the story, ever-so-eloquently expressed my desire to put my foot all the way to the floor. Once we idled back to the Pacific Coast Highway, we waited for an appropriately long break in traffic so science could commence. I pulled out and rolled it to 10 mph, locked my arms straight, said a quick prayer, and dropped my foot on a 1,000-horsepower bomb. Suddenly, I was in another dimension, where normal existence had been replaced by a roaring engine and violent, earth-shattering acceleration. 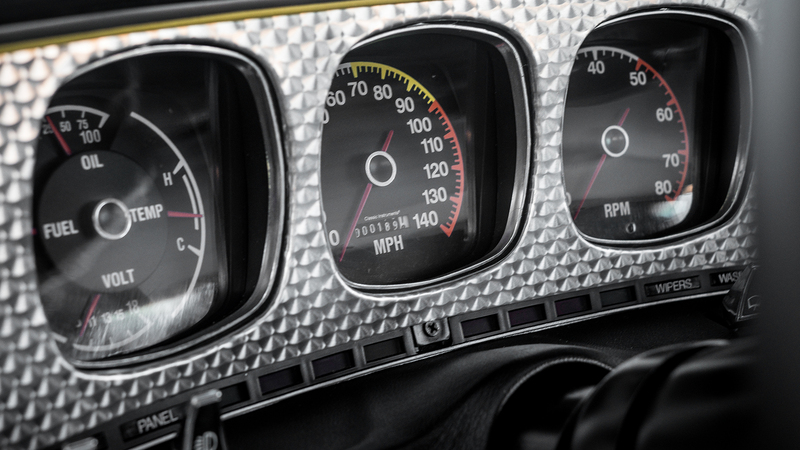 Tracking straight and true, the 55-mph speed limit came up in what seemed like less than a heartbeat—and a quick stab of those six-pot brakes kept me from making some potentially career- or life-ending decisions. I realized, suddenly, that I was spontaneously laughing. You'd be laughing, too. Cars like these are often built for show, not go. They're corporate baubles, never-driven trinkets that show off technical progress without actually celebrating it. But the Ringbrothers Javelin is different. The fit and finish here is on another level—you could daily drive the thing with a judicious right foot—and the fact that this kind of attention was lavished on a car that's been all but forgotten makes it even more interesting to behold. On top of that, resto-mods are an inexact science. Even with the best-laid plans, it's hard to know whether the soul of the original car will come through. But Mike and Jim Ring truly channeled the spirit of AMC on this one, mixing innovative techniques and old-school borrowing to build something truly unique. It feels modern, but carries that inescapable mix of comfort and raw ferocity that's endemic to old-school performance cars. 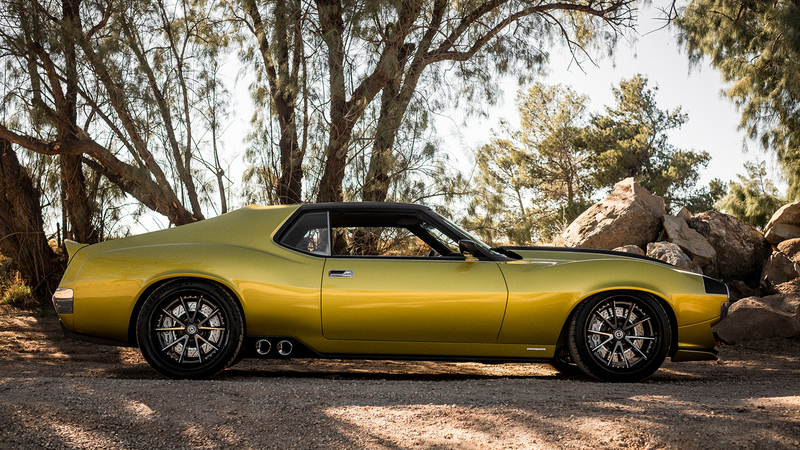 A $500,000 1972 AMC Javelin AMX is something that has never existed, a project beyond the normal bounds of imagination. And yet once you're in the driver's seat, you can't imagine a world without it. Consider it consecrated. Defiant is a special car indeed. Retrofitting a 464-horsepower, twin-turbo V-6 into a '40s Caddy? Sure, why not.